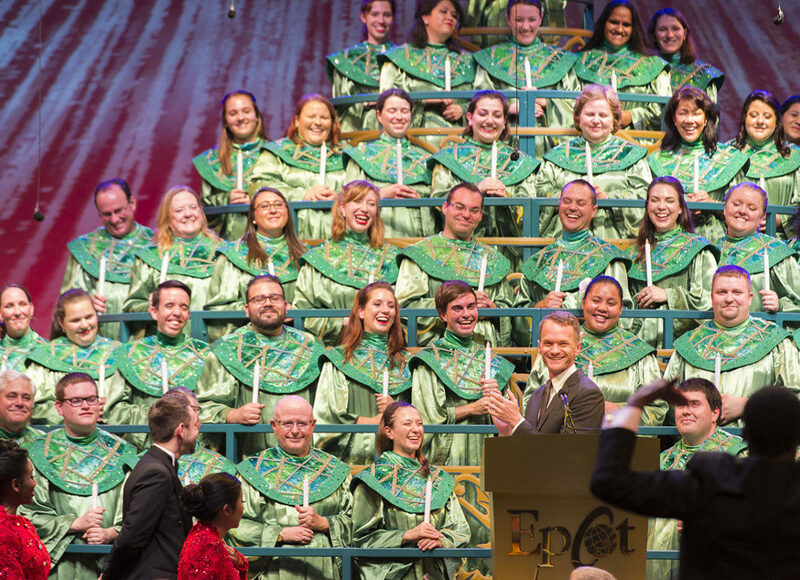 The “Candlelight Processional,” a guest-favorite holiday offering, will return to Epcot tonight. This show, which is included in theme park admission, presents the traditional story of Christmas in truly spectacular fashion – with a celebrity narrator, a 50-piece orchestra and a mass choir. The processional is performed three times per night (5:00, 6:45 and 8:15 p.m.) throughout the holiday season. Candlelight dining packages, available on select nights, include a meal and seating at a Candlelight Processional performance. Availability is limited. Packages for breakfast start at $35 plus tax per person for adults and $21 plus tax per person for children, ages 3-9. Candlelight Dining Packages for lunch and dinner start at $44 plus tax per person for adults and $15.50 plus tax per person for children, ages 3-9.